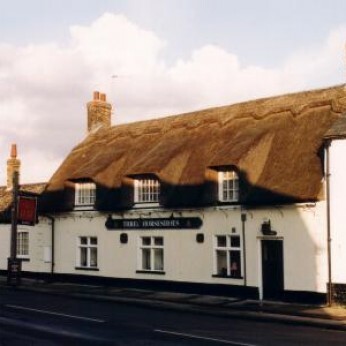 Early 18th century thatched village local with patio area and beer garden. Lounge bar with fireplace, restaurant and separate bar with adjoining pool table room. Three real ales including a guest. Children and good dogs welcome. Restaurant open Mon-Fri 12-2, 6-9; Sat/Sun 12-9. Quiz night Thursday, karaoke one Friday a month.